Imagine riding up the centerline to the music of your very own musical freestyle! If you are reading this article you are thinking of, or have decided to, design a musical freestyle. How exciting! Just think how much fun you and your horse will have dancing to music. I know that my horses enjoy their music and they will start to learn their transitions and follow along. This video will give you an overview of what's in store for you in the months ahead. I have broken down the process into Seven Phases to help you keep track of your progress and avoid overwhelm. You can just watch the video or scroll down to read a description of each phase. I have also included links to articles and resources to help you along the way. You are currently in this stage right now, planning ahead for your freestyle. If this is your first time I recommend giving yourself ample time to work on it. There will be a learning curve with the music software and how to choreograph your routine so be careful not to rush yourself. The best time to start working on a musical freestyle is in your "off" season. If you compete in the summer months try to begin in the winter, right after the holidays is usually a good time to get focused. Download my free Musical Freestyle Checklist to help you stay on track (scroll to the bottom of this article). You will need to learn the rules that pertain to freestyles at a competition, especially if you want to show at a USDF recognized event. It would be a shame to enter your first show and realize you are missing a movement or get disqualified because your entrance music is too long. There is a handy resource on the USDF website that summarizes the freestyle requirements...click here. Download the USDF EquiTests 1 App so that you will have quick access to your freestyle test sheets if you aren't sure about a movement...click here. In this phase you will be gathering information that will help you find your music and create your choreography. You will need to figure out the beats per minute for your horse's gaits so that you are prepared to select music. Learn how to determine your horse's beats per minute in this article...click here. There are many smartphone apps available that will also help you with the BPM's, choreography, and music. Click here to see which apps I use and where to get them. If you feel overwhelmed about selecting music, there are some options online for pre-made music such as Marvin's Music and MusiKur. 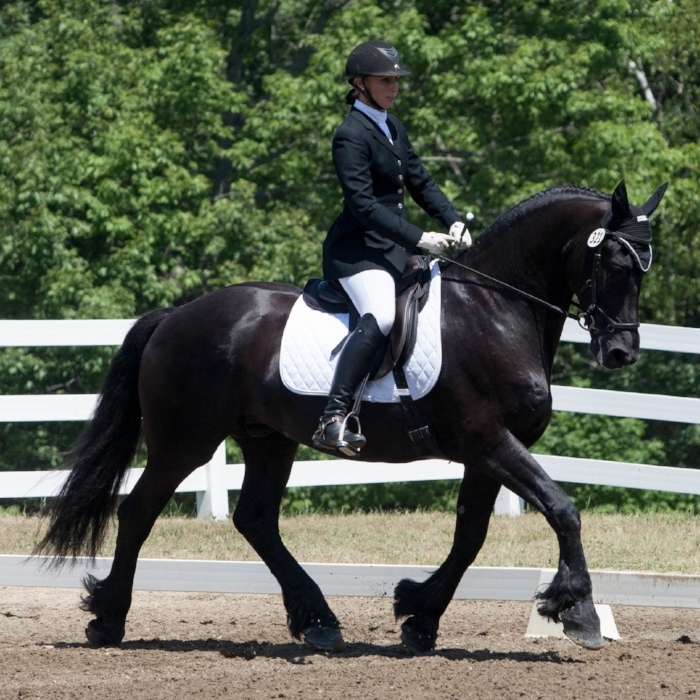 It is a fun challenge to work with a horse and rider to showcase their strengths and downplay their weaknesses. Try to "marry" the music and the choreography together, doing your best to follow the natural progression of the music. Avoid movements that will add stress for you and your horse, your test should HELP you, not hinder your horse's ability. My blank arena diagram sheet is very helpful during the process. Scroll down for your free copy. If the idea of creating choreography overwhelms you, I have pre-designed routines in my Freestyle Choreography e-books. If you don't see the level you want just sent me an email (beginthedance@gmail.com) and I will let you know when it is available. This is perhaps going to be the longest, most frustrating stage of the game. Keep faith! You are so close to the end it should help you gain momentum to push through. If you are not very "techy" this part of the process can be outsourced to a friend or a professional. I have gathered together some popular music software and extra options in this article...click here. If you get stressed out, take a break and try one of the four ways I stay motivated. Read the article here. Time to take your freestyle for a trial run! Keep in mind that the first show is a learning experience. You will become familiar with the process, how to submit your music to show staff, the sound check, how to deal with different sound systems, and most importantly...how does your horse do with the freestyle at a show. You may discover that your horse's tempo is a lot faster than normal or he/she spooks at the speakers set too close to the arena. After you receive feedback from your judge you can go back to the drawing board, adjusting choreography and music based on their scores. Here's some advice, do not drastically change your freestyle based on ONE judge's opinion! The artistic scores can vary widely from judge to judge. For example: One of my clients rode her new First Level freestyle at a schooling show and received a score in the low 60's, the artistic scores ranged from a 6 to a 6.5. She rode the EXACT same freestyle at a USDF Recognized show for an "S" judge and received a 76%! All 8's in the artistic scores. Artistic value is in the eye of the beholder, don't lose faith if one judge doesn't resonate with your music.